Blizzard has announced that a new event celebrating the Chinese New Year is coming, so prepare the fireworks as we celebrate the year of the rooster! Blizzard have announced that a new event celebrating the Chinese New Year is coming, so prepare the fireworks as we celebrate the year of the rooster! 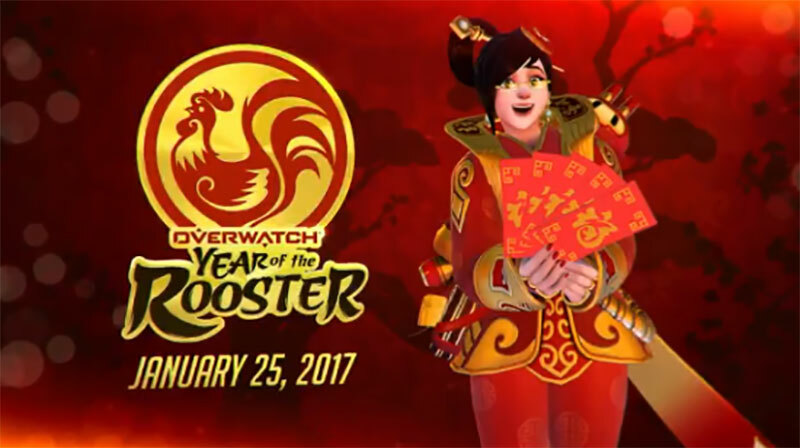 Blizzard recently teased the “Year of the Rooster” event in a couple posts over on Overwatch’s social media account, PlayOverwatch. The account tweeted out “Good luck and great fortune await”, which was coupled with two images D.VA and Mei (Heros from the game), in which were rocking two of the new festive skins that we are expected to see once the update goes live for players. It's unclear as to what Blizzard has in store for the new update, however it is safe to say that we'll be getting plenty of new cosmetic items including players icons, sprays, voice lines, emotes and of course, new skins. In past festive events, Blizzard would also add a new game mode that players could play for the time period of the event and although no announcement has been made, we should expect one. It will be interesting to see what Blizzard can come up with to tie in with the Chinese New Year theme, because previous events had certain changes to some of the maps. For example, the Christmas event, had certain maps that were covered with snow and some of the maps contained snow men throughout the map. With the Chinese New Year theme, it's hard to predict what Blizzard could have in store, but we could safely assume the map they can change for definite will be “Lijiang Tower”, as this maps location is in China. The Year of the Rooster event will kick off on the 24th of January, just four days before the official Chinese New Year begins and if the event is similar to others, we can expect it to run for several weeks. What do you think about the event? Are you excited to see the new cosmetics? Let us know in the comments below.